Home › What’s On › Retailer Promotions › Free Fluffies during Toddler Tuesday! Free Fluffies during Toddler Tuesday! Toddler Tuesdays Muffin Break Special. 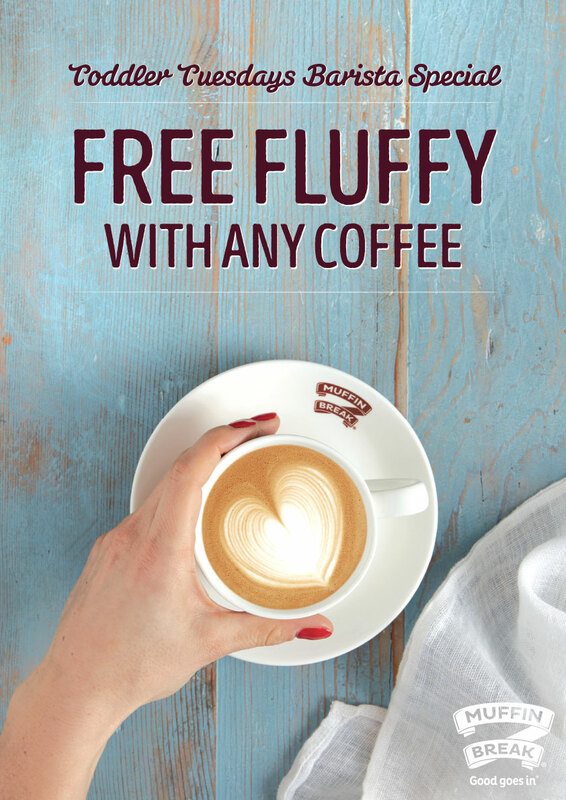 When you’re popping into our FREE Toddler Tuesdays, make it even more special with a free fluffy at Muffin Break with any coffee purchase! A great treat for the morning time for your little one. Just mention the deal to the barista at Muffin Break NorthWest! Muffin Break is located in front of Farmers NorthWest.